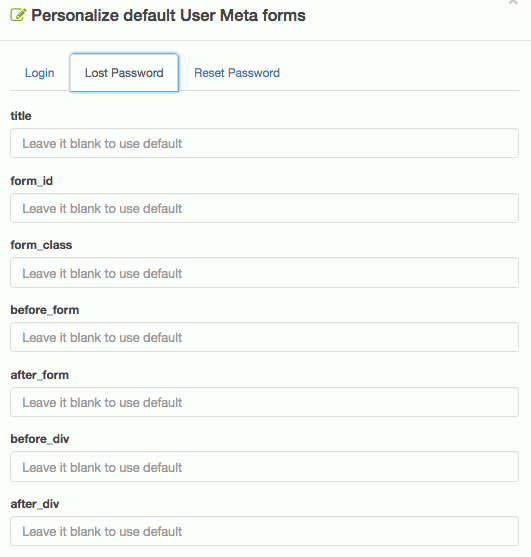 Personalize default User Meta login, lost password and reset password forms. 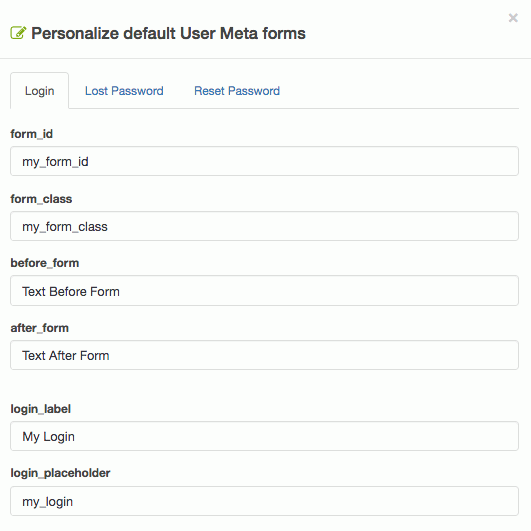 Activate Personalize default User Meta forms from User Meta >> Add-ons menu by turning on the respective box’s switch. 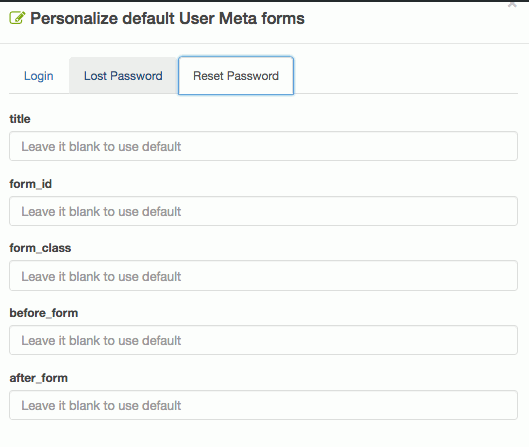 Go to Personalize default User Meta forms >> Options. There you will get three different tabs. Control every components of the Login form with CSS class, ID, title, heading, label and texts. Followings are the customizable options. Put option’s values according to your needs and save the changes. No worries even if you leave any field blank, it will consider the default value by itself. Control every components of the Lost Password form with CSS class, ID, title, heading, label and texts. Followings are the customizable options. Control every components of the Reset Password form with CSS class, ID, title, heading, label and texts. Followings are the customizable options.